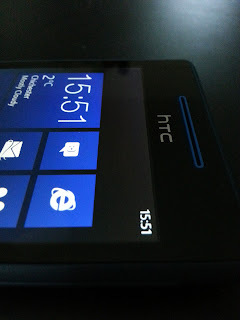 HTC fully committed to Windows Phone: Device coming later this year with an update to Windows Phone 8? EVLeaks have been very, very busy in the lead up to MWC this year. We saw a tonne of devices before they were official courtesy of those guys and it seems that they have a little bit of news news regarding HTC's Windows Phone plans for the future! HTC have already emphasised that they, "are actually fully committed to [the] Windows Phone business. We do have good collaboration with Microsoft for a future release this year." They were the words of HTC's Vice President for Global product planning, Tai Ito. Apparently there won't really be a Windows Phone flagship this year, instead the guys from Taiwan will reportedly offer a more modest mid-range device which is supposedly known as the HTC Tiara internally. It is rumoured to feature a 1.2GHz dual-core Qualcomm chipset, a 4.3-inch Super LCD2 of WVGA, that's 800 x 480p resolution, as well as 1GB of RAM and 8GB of internal storage. The package is supposedly rounded out by an 1800mAh battery, and a 1.6-megapixel front-facing camera which will be paired with an 8-megapixel rear option! This is meant to come inside a form factor which has 'the same design language as the... HTC One'. If EVLeaks are right the most impressive feature about this phone will be the operating system on board. EVLeaks believe this will be one of the first phones to launch running Windows Phone 8 GDR2, which is set to be a new update to the WP8 platform. HTC have already said that they are aware "that Windows Phone 8 is not as good as the market expected," but that's not enough to put HTC off. They said that, "we think that it could take time and we will continue working with them" and this could well be one of the first fruits of that labour! EVLeaks believe the phone will arrive in mid-May, but we're always sceptical with rumours like this, but HTC's continued pledge of support does make this seem a lot more credible!